We already know dogs and cats are incredible. But recently, scientific studies have provided evidence to back our beliefs. Almost all pet parents will tell you they feel their furry friends are amazing. Although this is a common view, until recently there hasn’t been much factual information to back it up. In recent years, however, scientists have started looking at how dogs and cats can help their humans in all aspects of life, including in terms of health and emotional development. 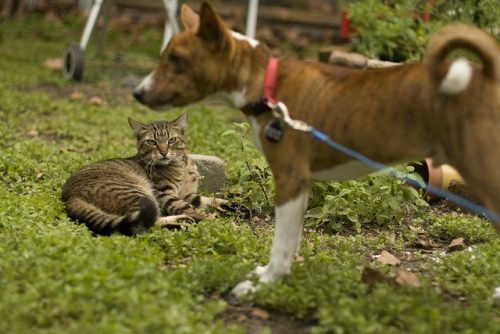 Here are 8 scientific studies on dogs and cats — showing that pets are great for people. Usually we think of dogs imitating their caretaker’s behavior, but according to a study published by the Journal of Veterinary Behavior in early 2013, cats also do the same thing. The behavior is noticed in cats that are kept indoors with their caretakers present most of the time. Cats that are kept outside, on the other hand, will start imitating their feral counterparts. Your presence in your pets’ lives will determine how much mimicking you see. You could be concerned about having pets due to the possibility of allergies. However, James E. Gern, M.D., from the University of Wisconsin-Madison, published that the opposite is the case. Having a pet at home will reduce the chances of kids developing allergies later in life. The study was published in the Journal of Allergy and Clinical Immunology. The study showed the results in the blood of newborn babies and compared it to samples from the same participants a year later. Cats and dogs can be great for people suffering from high blood pressure and stress. A study showed that pet parents would do better in stressful situations than people who never adopted a pet, according to Blair Justice, Ph.D., from University of Texas School of Public Health. The benefits can be seen in people with stressful careers and even in those that are coping with different types of illnesses. A study published by the Journal of Personality and Social Psychology and conducted by psychologists at St. Louis University and Miami University found that having pets provided their humans with a great deal of psychological benefits. They found that pet parents had great emotional returns, and pets can also help get over feelings of exclusion. The study also found that dog caretakers are healthier because they have to frequently take their dogs for walks. The American Heart Association published the results of a study in their journal Circulation. This study showed that pet parents usually have lower cholesterol and blood pressure levels. They also have lower chances of being obese, all of which contribute to lowering the risk of heart disease. The authors do point out, however, that the amazingness of what cats and dogs can do for their humans is partly because pet caretakers themselves tend to be more active. So we already know that having a pet may lower your risk of developing heart disease, but studies from the National Institute of Health (NIH) and the Centers for Disease Control and Prevention (CDC) show that having a pet can help your heart health in general. It will lower your triglyceride levels, cholesterol and blood pressure, and all these elements combine to reduce your future risk of heart attacks. Some studies even show that having a pet will help you recover from a heart attack more quickly. The American Heart Association discussed a previous study that looked at blood pressure levels between pet caretakers and people with no pets. They randomly assigned a small group of participants who wanted to adopt a pet to do so right away or wait. Those who adopted a pet right away had significantly lower levels for their blood pressure than the other group after only 5 months. The great thing about this study is that because it was randomized, it shows that the benefits are truly related to the pets. Another great way that dogs and cats are amazing is that dogs encourage their humans to do exercise. In fact, one study showed that dog families will exercise 54% more than those who do not have pets. By helping you exercise, dogs will in turn help you be healthier overall, fighting obesity, high blood pressure and heart problems.